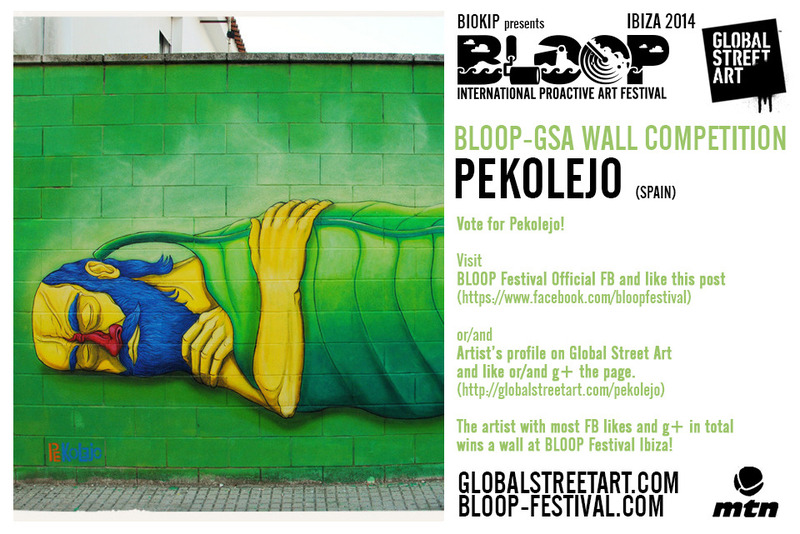 Vote for Your Favourite Artist! 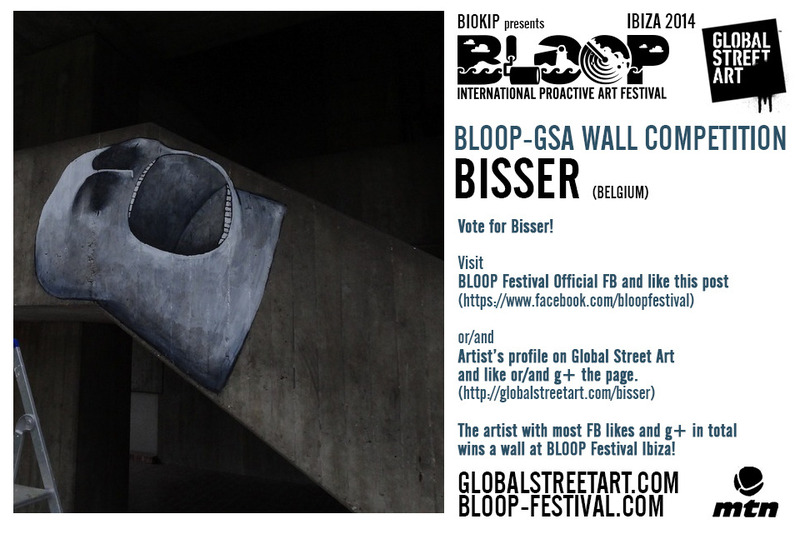 Global Street Art and BLOOP Festival teamed up to offer one lucky artist a wall to paint in Ibiza (plus a return ferry from Barcelona, one week's accommodation in Ibiza, materials and equipment)! 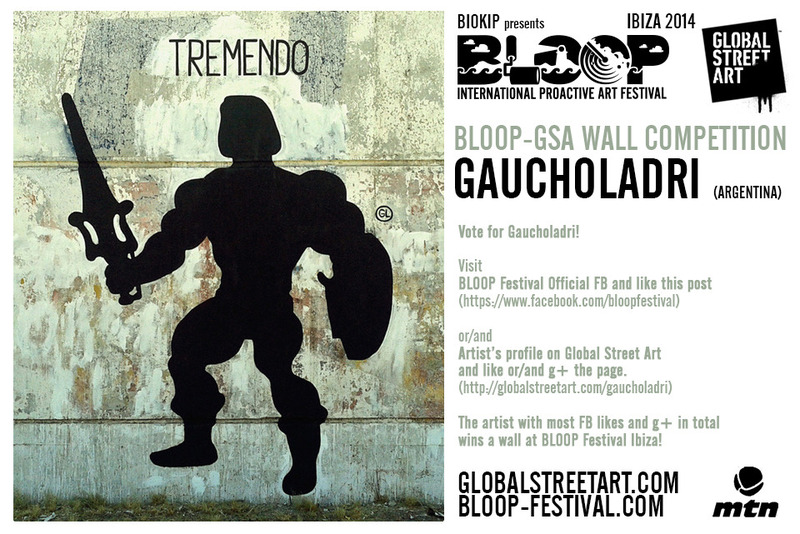 The deadline for entry has now passed. 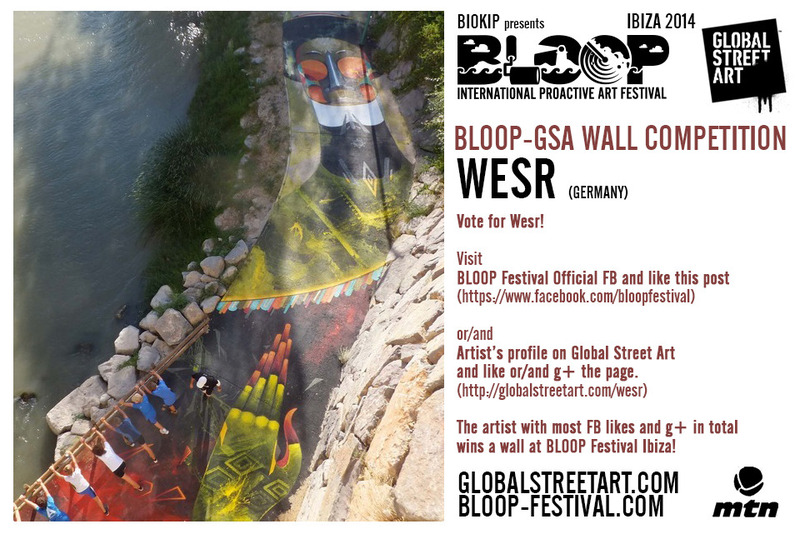 Over 50 artists entered the competition and Bloop has chosen a shortlist of five artists, shown below. 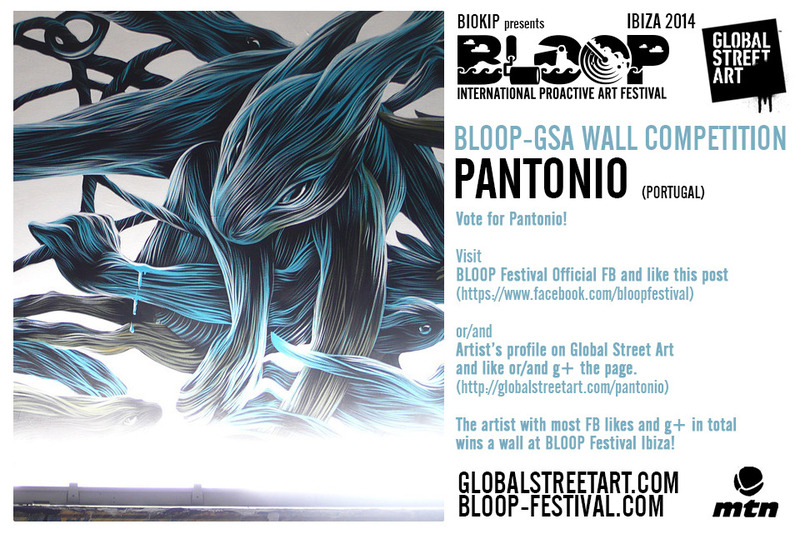 You can now vote for your favourite until 23:59 (CET) March 20th.